Looking to understand how Scrivinor works? Here's a tour. 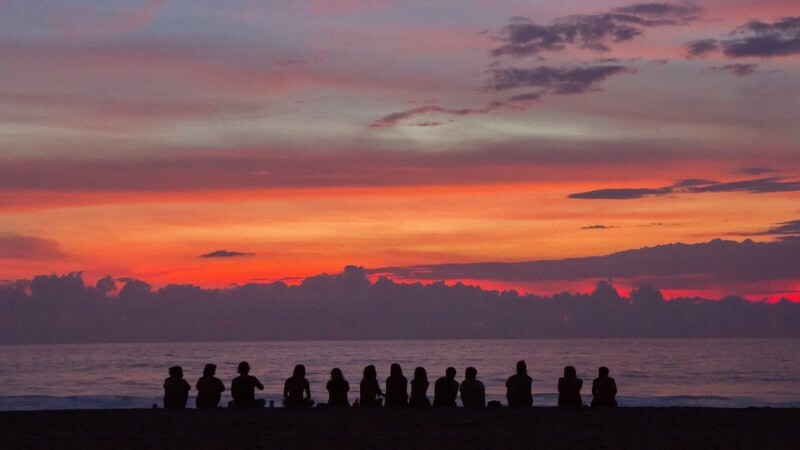 See how to get started, set up your pen names and publish great content. 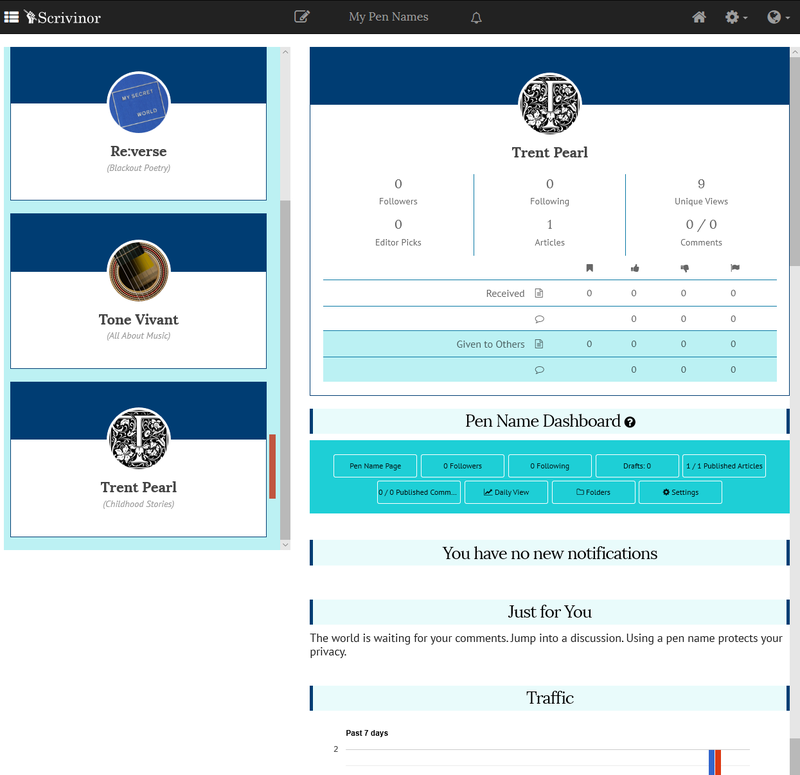 While Scrivinor is doesn't require registration to read articles, to publish articles or make comments, you need to create a Scrivinor account. Signing up is a two-step process. First enter your name, email and a password. You also choose a language version - but you can change that later. 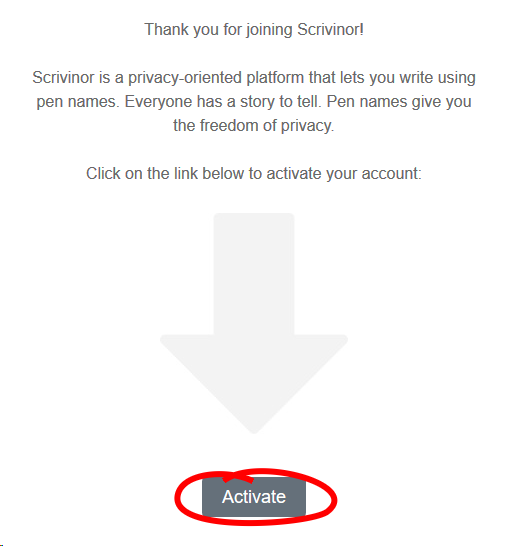 Scrivinor will send you an activation email. Click on the Activate button in the email. 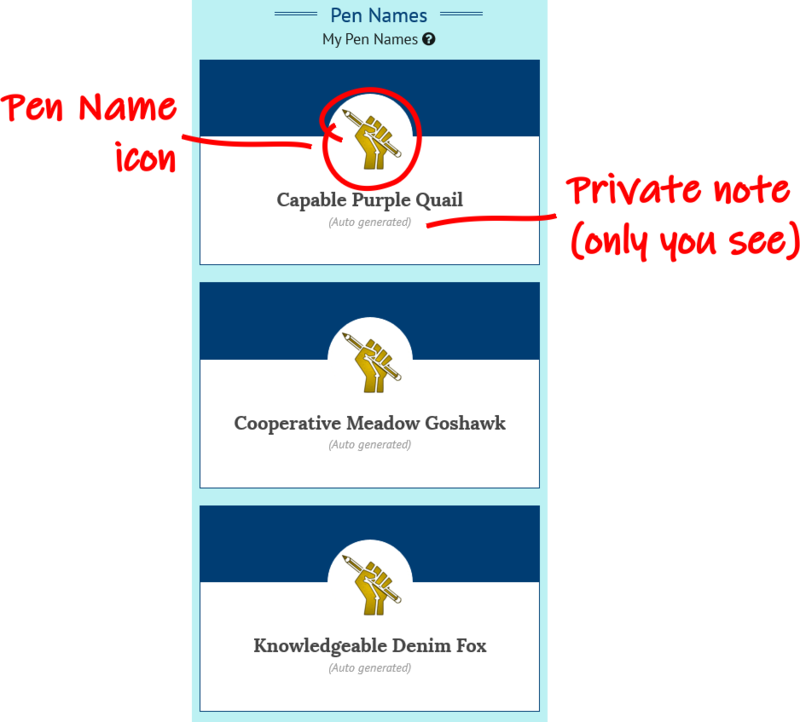 Activating your account takes you to your My Scrivinor page where you can personalize your pen names and get an overall view of your Scrivinor account. 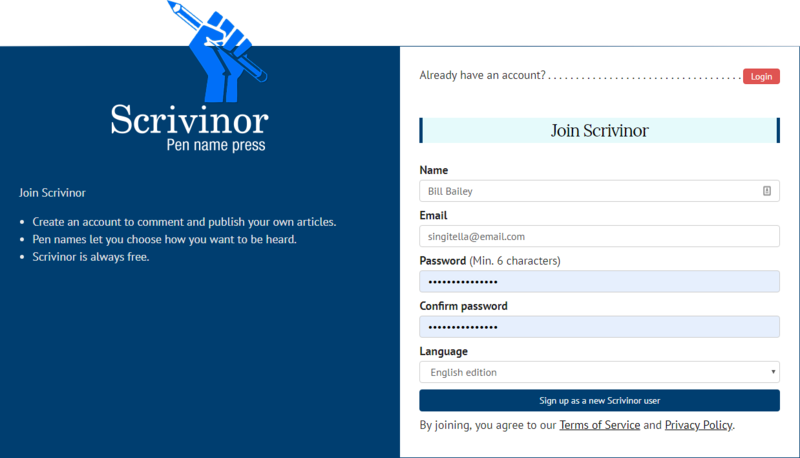 You can always jump to your Scrivinor account home by clicking on My Pen Names at the top of the screen. 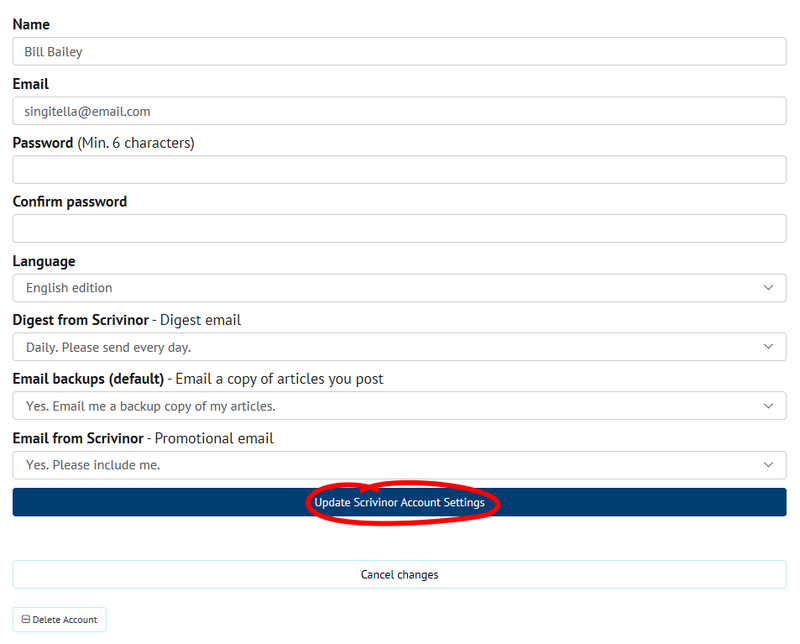 Click the Account Settings button to see the global settings for your Scrivinor account. Use this page to change your user name, email and password. Update the Language option to change the Scrivinor edition where your articles are published. 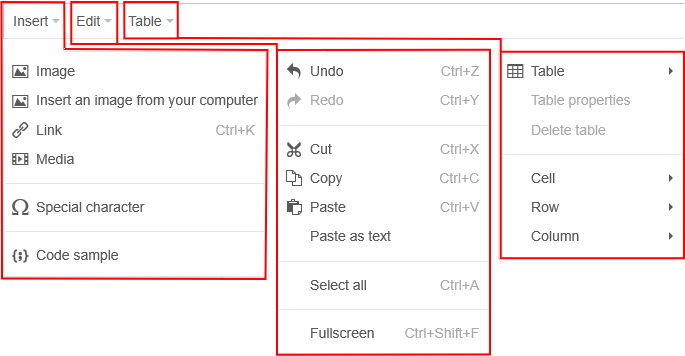 Change your Scrivinor Digest options. Digest emails let you know when there are new articles from authors you follow and when others comment on your articles. 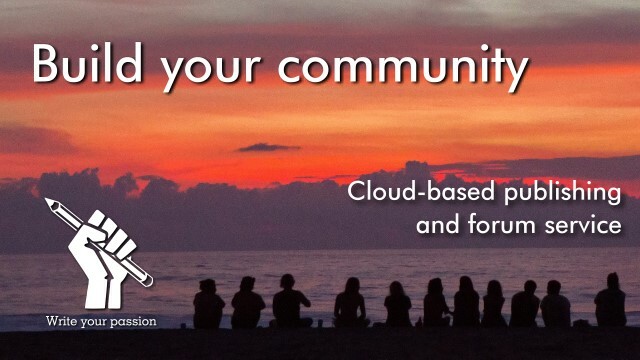 Set whether you receive backup copies of articles you publish via email. Choose whether or not to receive emails from Scrivinor about offers we may have available. This also the place to delete your Scrivinor account if need be. If you make changes to your account settings, be sure to click the Update Scrivinor Account Settings button to register the changes. Your My Scrivinor page is your Scrivinor account home. Go to My Scrivinor by clicking on My Pen Names at the top of the screen. The My Scrivinor page has two columns. The top icon in the left column, My Scrivinor, displays global info for all your pen names. The icons below are your pen names. 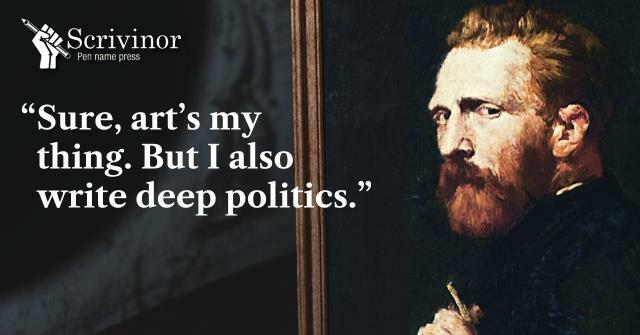 Each shows the Pen Name, an icon and a private note only you can see. 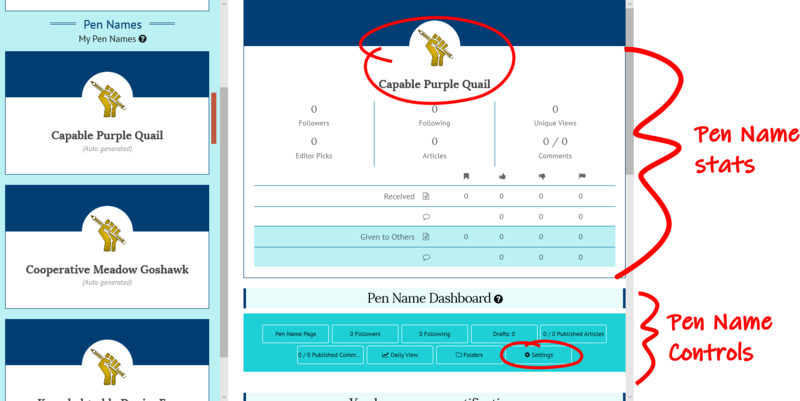 The content of the right column shows either global info (as shown) or info on the pen name you've selected. 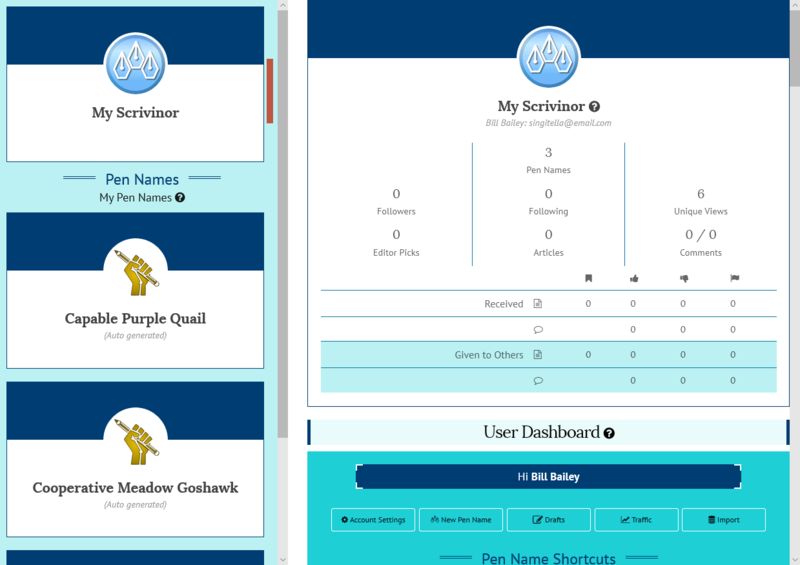 To start, Scrivinor gives you three automatically generated pen names. Use these pen names as is or change them as you like. You can also create more pen names. Scrivinor does not limit the number of pen names you can create. Select a pen name to display stats and controls for that pen name. Click Update Pen Name at the bottom to save your changes. You'll go to your Pen Name Page - the place where readers can find all the articles published under that pen name. 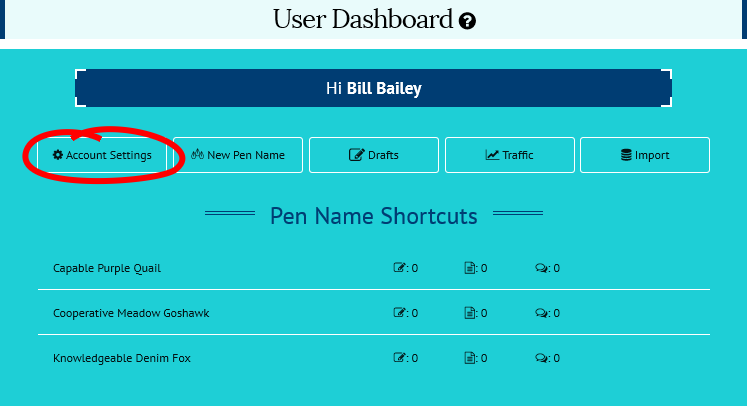 As the Pen Name owner, the Pen Name page displays the Pen Name Dashboard to give you access to tools and settings. Each of your pen names has it's own Pen Name Page. Your pen names are not connected so readers of one of your pen names cannot see you also write under others. 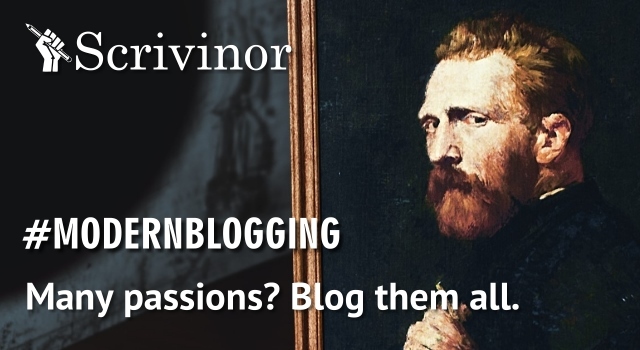 Scrivinor users visiting your pen name page see an invitation to follow. The public tally board shows feedback the pen name has received, making it easy to spot trolls. Here's what a My Scrivinor page might look like with three pen names for different types of writing. The pen name Trent Pearl is selected so the column on the right shows info for that pen name. Scrivinor lets you create as many pen names as you like. That makes it easy to have different pen names for different audiences and interests. 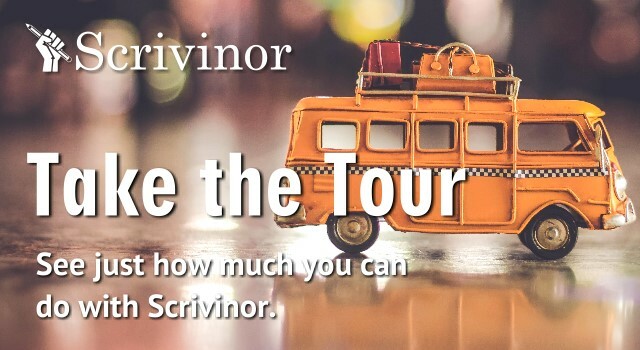 Scrivinor does not, however let you use more than one pen name in a conversation. Scrivinor's one-name-per-conversation policy means when you publish an article, you must participate in that conversation using the original pen name. You cannot answer yourself with a different pen name. Likewise, when you first comment or like an article, any additional comments you make must use the same pen name. 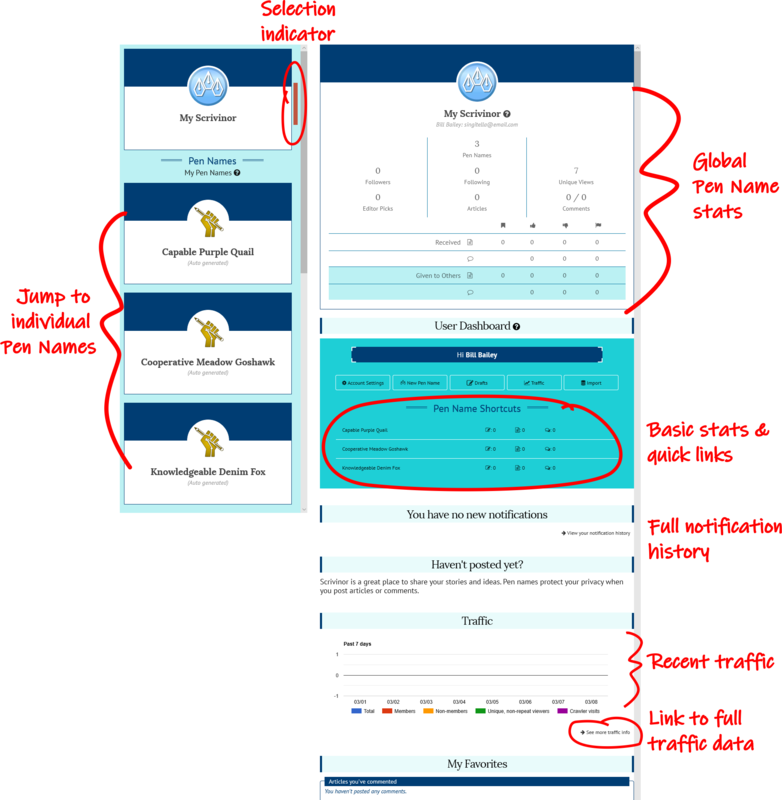 On your My Scrivinor page, click on the My Scrivinor icon to show global info for your Scrivinor account and display the User Dashboard. 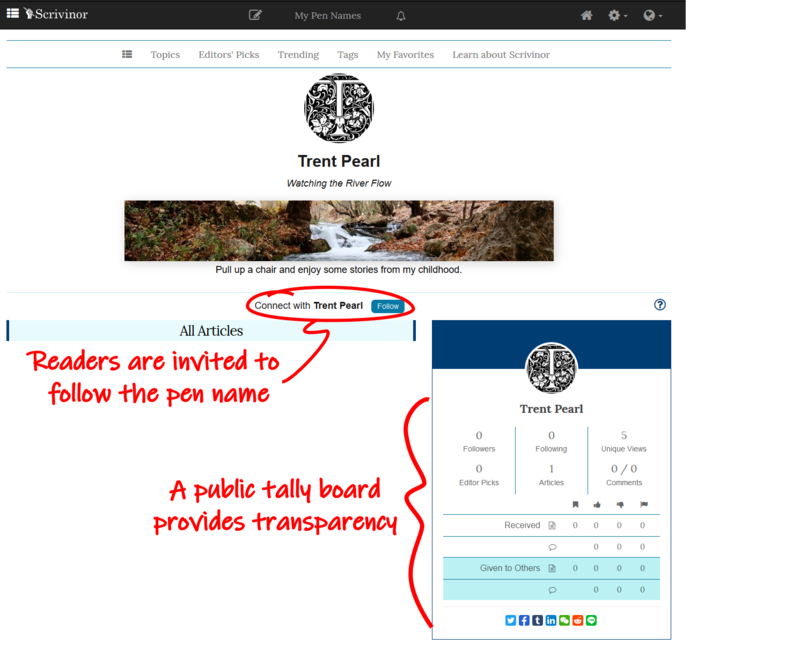 In the User Dashboard, click on Add New Pen Name. The Create a New Pen Name page will display. Edit the pen name to create the identity you want. Scrivinor checks the name as you type, so type slowly. It can be useful to paste a pen name into the field in one go. Pen names are pretty flexible. They must be at least 2 characters but they can include special characters, symbols and emojis 👍😁. 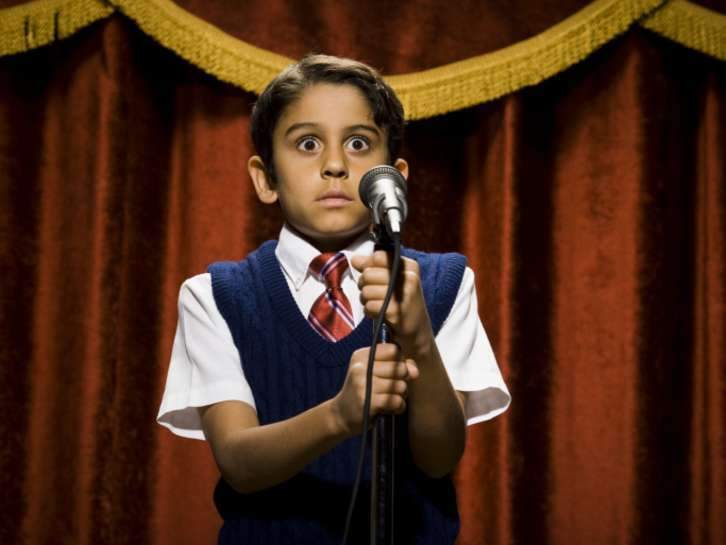 Pen names must be unique and are claimed on a first-come, first-served basis. 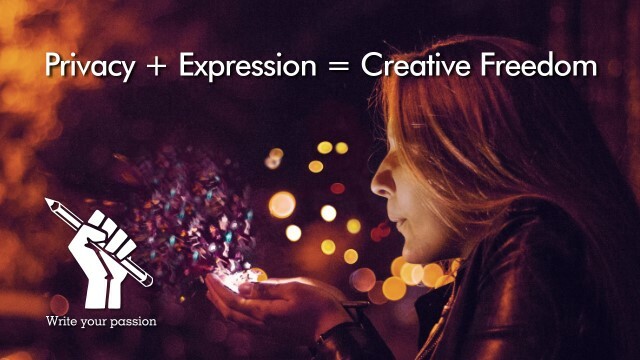 Scrivinor does not encourage the use of profanity, offensive language or trademarks held by others. Scrivinor reserves the right to ban pen names found to violate our Community Guidelines. Publishing articles on Scrivinor is a two-step process. First you draft the article, then you publish it. That means you don't have to finish an article in one go. 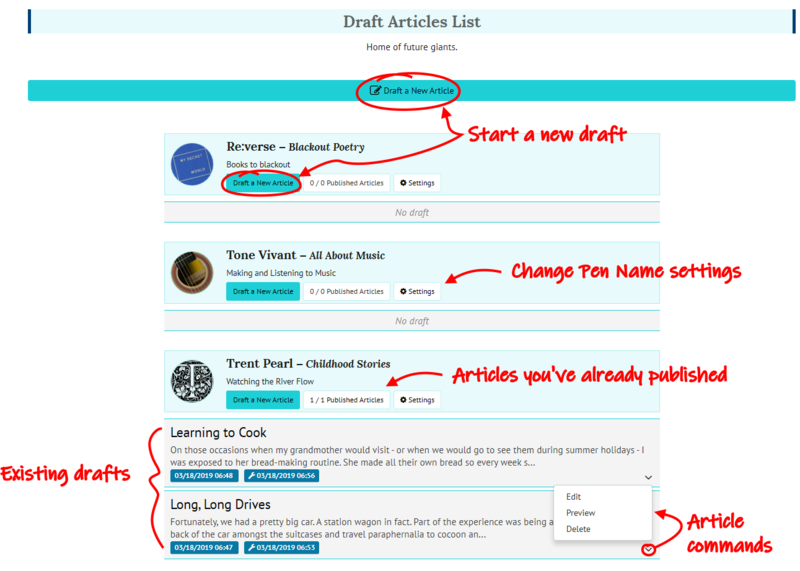 You can create a set of drafts that you publish as you finish them. Draft articles are not visible publicly. Click on the the Draft List icon in the title bar. 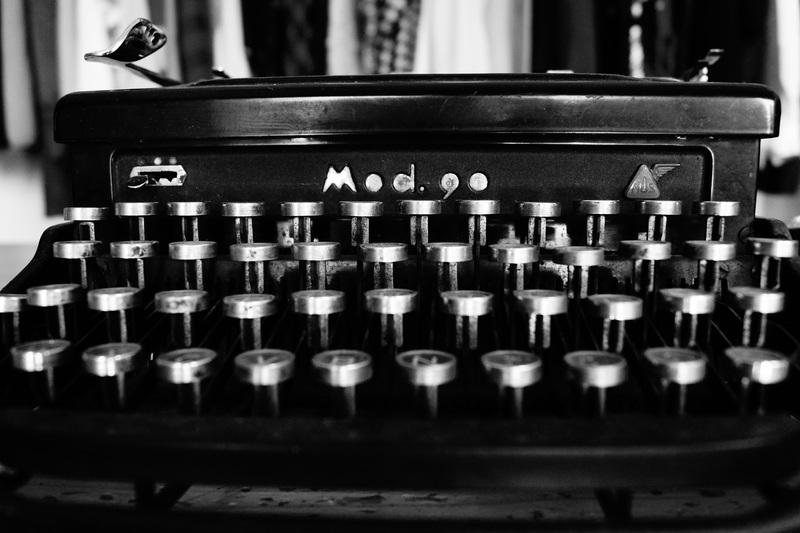 The Draft Articles List shows drafts for all your pen names. It's the place to start new articles. Use the Draft a New Article button to open the editor. Using the button for a Pen Name automatically assigns that pen name. Click on the title of an existing article to edit the draft or use the article command. Existing drafts show you when they were created and last edited. 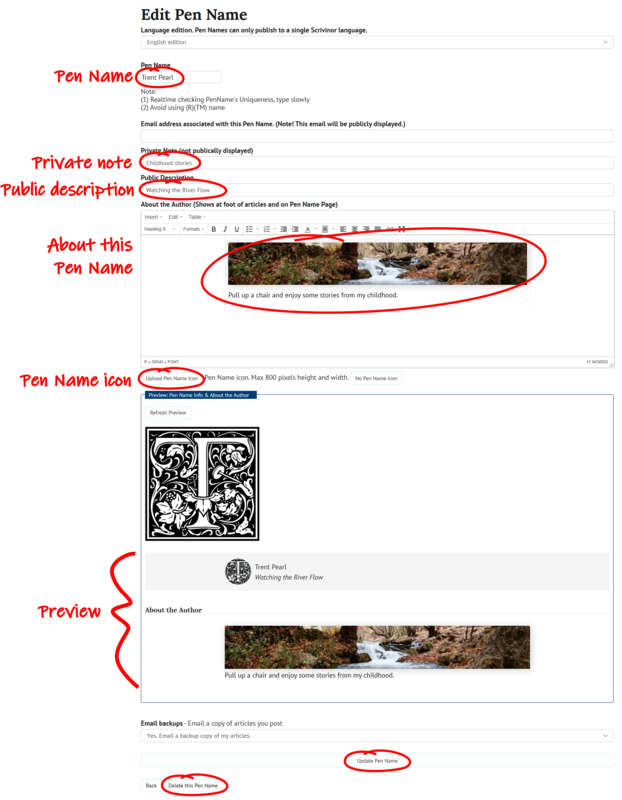 The Scrivinor editor is a WYSIWYG (what you see is what you get) tool with a wide range of editing, and formatting features that let you combine text, images and media. 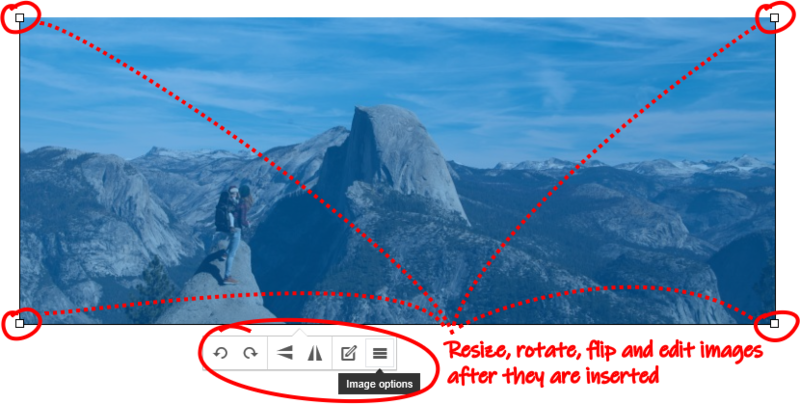 The editor opens in compact mode but offers a full-screen mode for focused editing. Mobile mode for phones offers tailored operation and features. Change the Pen Name for an article any time before publishing. 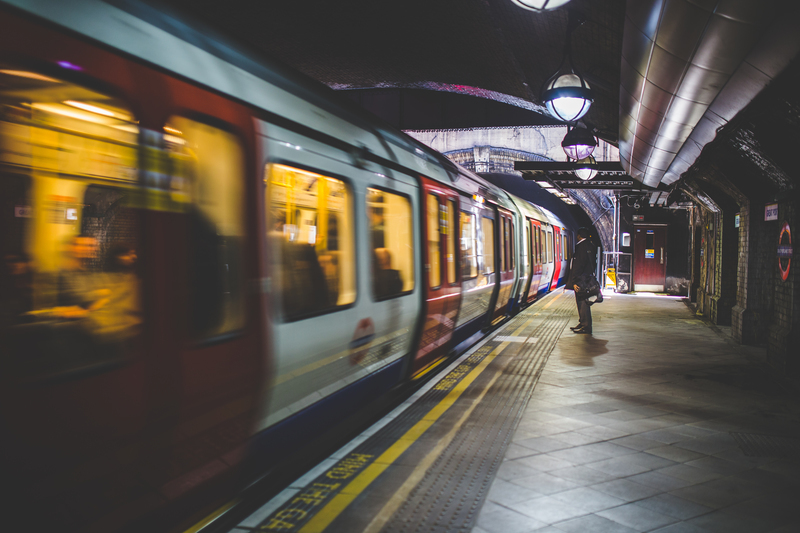 After an article is published, the Pen Name is set and cannot be changed. The content of articles can still be edited after publishing. Insert images via URL or upload from your computer. Images inserted from your computer are automatically resized to a maximum width of 800 pixels. Use the Media command to insert audio and video. 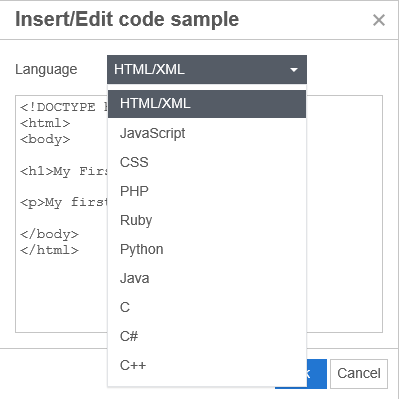 The Code sample command lets you include HTML or other code in documents. For many types of content, the editor lets you simply paste summary links into documents. This makes it easy to reference other content on the web and credit the source. 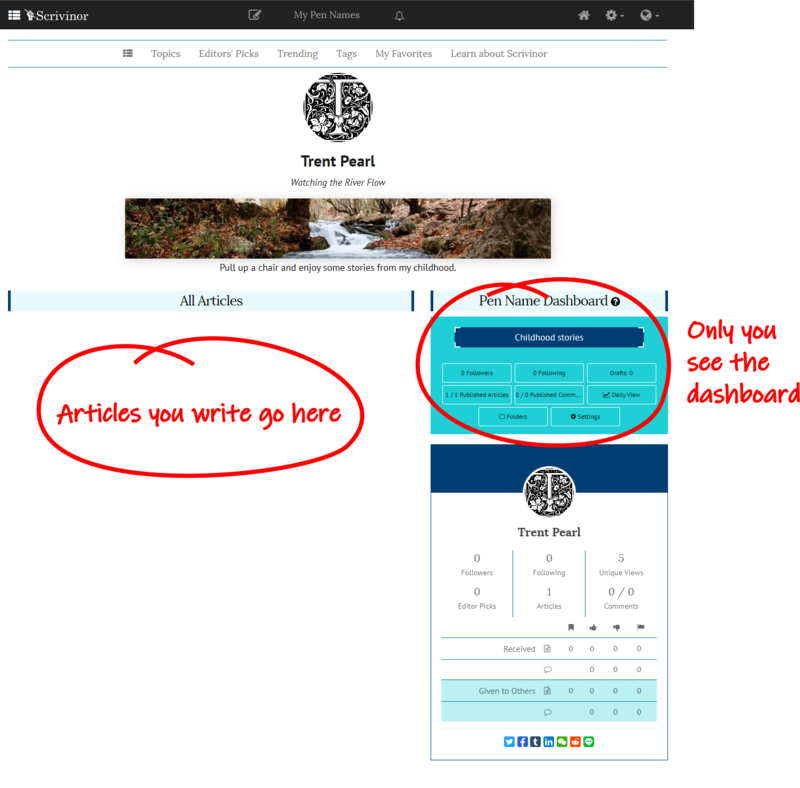 The editor has a set of built in heading, text and block styles to apply to content. There are also formatting tools for bullets, lists, aligment, text and background colors. In short, there's lots of flexibility. Once you’ve finished your article - or as you are working - you can preview how it will look when it is published. You can always return to the article to keep editing after you preview. Click the Preview / Publish button at the bottom of the page. 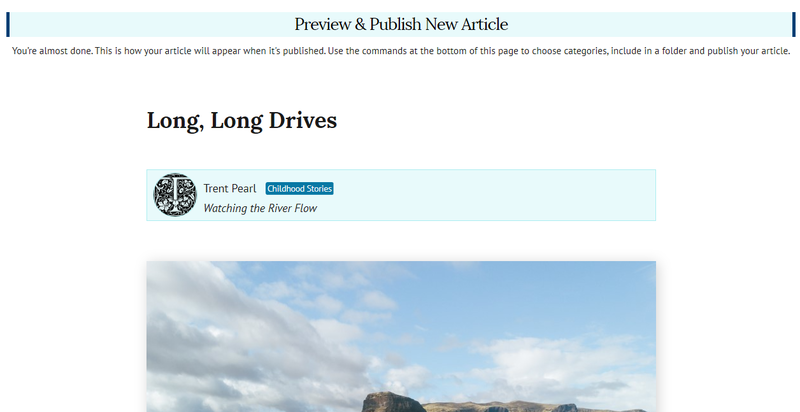 The Preview & Publish page shows how your article will appear to readers once it is published. 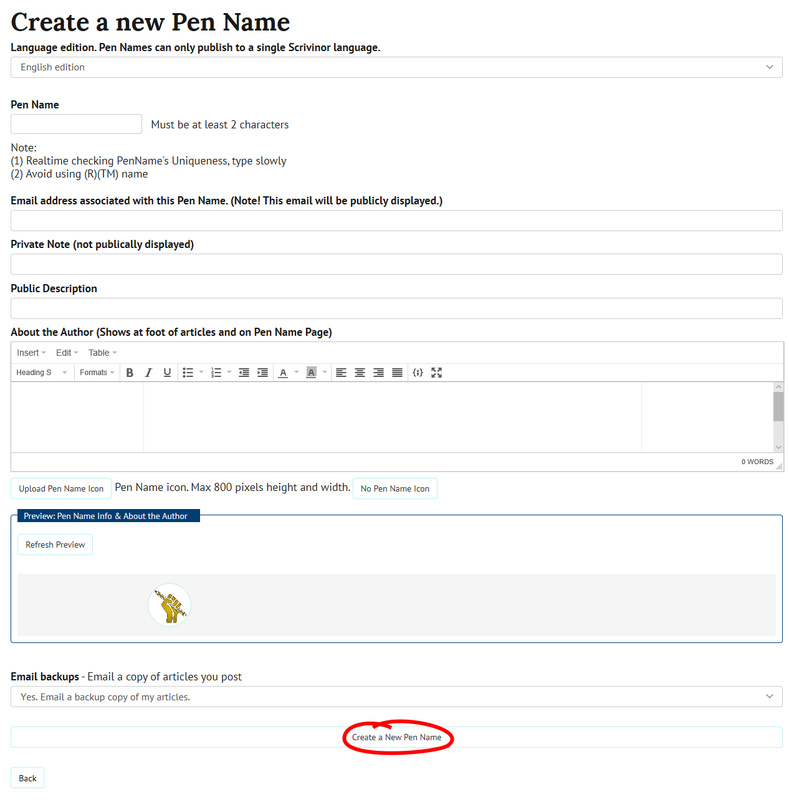 At the bottom of the page you have commands to return to the editor or publish the article. 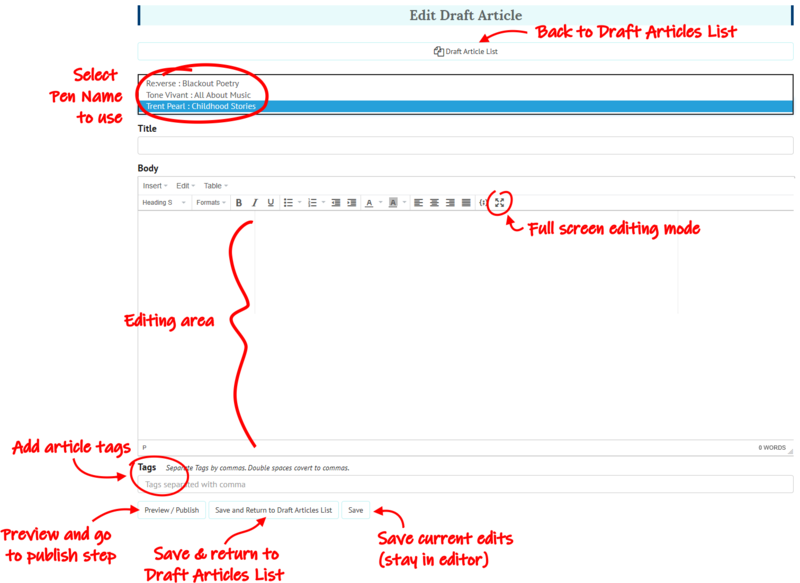 If you want to make further changes to your article, click on Return to Draft Edit without publishing. You'll return to the Draft Editor. Likewise, if you want to keep the article for editing later, choose Return to the Draft Articles List without publishing.